The subject invention concerns novel analogs of fentanyl opioids. The subject invention also concerns methods for synthesizing the compounds of the invention. The invention also concerns methods for treating pain in a patient by administering a compound of the invention to a person in need of such treatment. This application claims the benefit of U.S. Provisional Application No. 60/281,080, filed April 3, 2001. Background of the Invention Fentanyl is an opioid analgesic that is roughly one-hundred fold more potent than morphine. 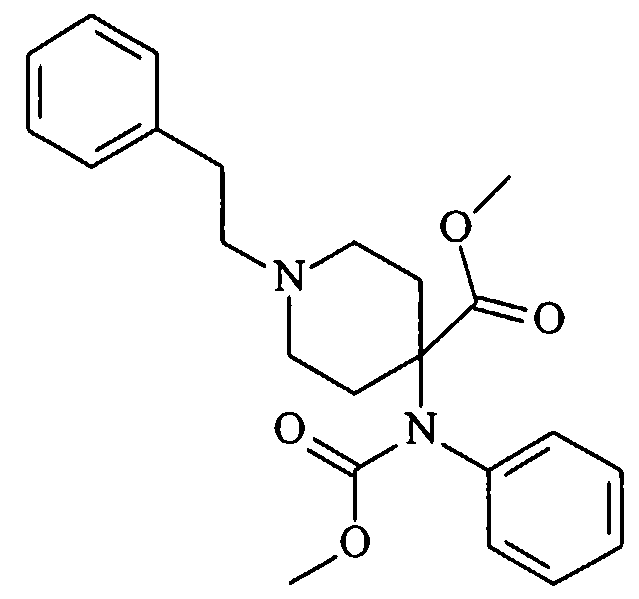 Chemically, it is a 1 ,4-disubstituted piperidine molecule with agonist properties at the μ-opioid receptor. This type of receptor is found in the brain as well as in various peripheral tissues and in the spinal chord. A transdermal delivery system for fentanyl has been described. This system delivers fentanyl at rates between 25 and 100 μg/hour. Due to severe side effects, the fentanyl transdermal system described in the art is indicated only in the management of chronic pain in patients requiring continuous opioid analgesia for pain that cannot be managed by lesser means. Because serious or life-threatening hypoventilation could occur, the use of fentanyl transdermal treatment is strongly contraindicated in children younger than 12 years of age, in the management of acute or post-operative pain, including use in outpatient surgery, and in general in any situation where pain can be managed by non-opioid therapy. The development of a short-acting transdermal fentanyl analog system would be of great value. 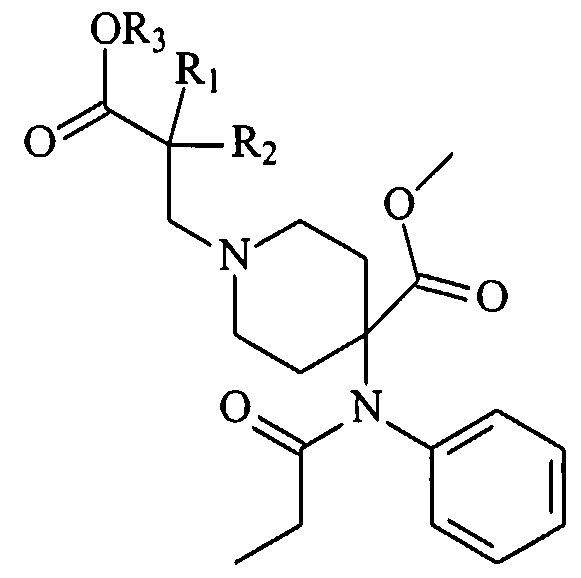 A soft fentanyl analog has been described in the art. 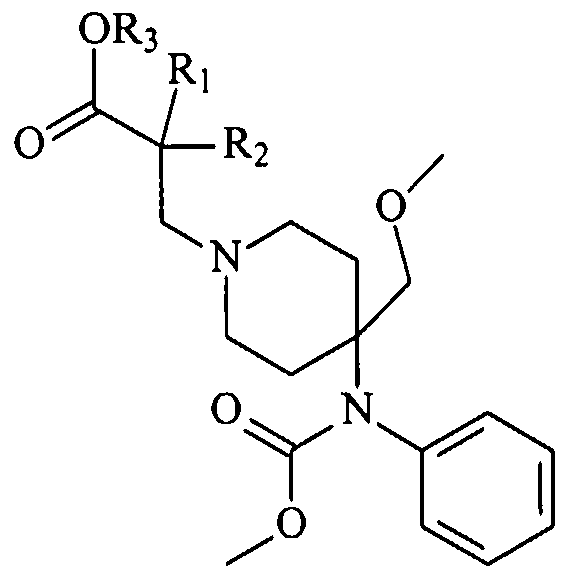 Remifentanyl (Ultiva®) is marketed by GlaxoWellcome as an ultrashort acting opioid for intravenous analgesia in anaesthetic cocktails. Due to its high degree of efficiency against extreme pain, a safe soft analog of fentanyl could be used in cases of pain management that are not presently suitable for the current opioid therapy. The subject invention provides novel analogs of fentanyl opioids. The subject invention also provides methods for synthesizing the compounds of the invention. The invention also concerns methods for treating pain in a patient by administering a compound of the invention to a person in need of such treatment. 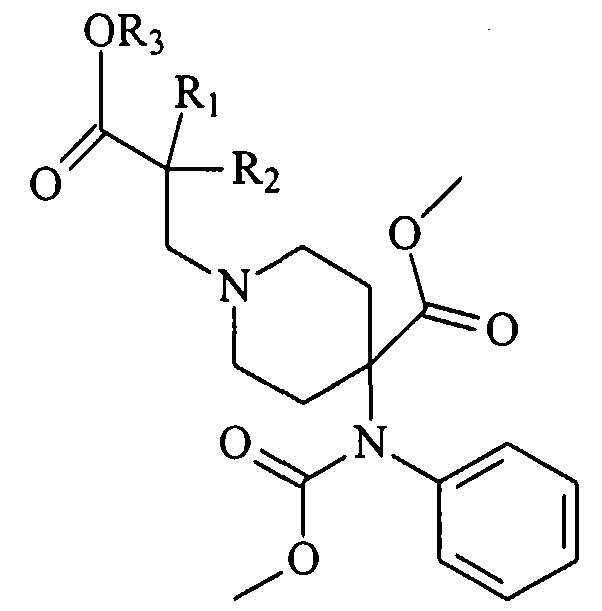 Brief Description of Drawings Figure 1 shows certain opioid analgesics that are marketed in the United States. Figure 2 shows several potential sites for modification of opioid compounds according to the subject invention. Figures 3-8 show compounds of the subject invention. Figure 9 shows that a positive charge can be introduced on the piperidine nitrogen. Figure 10 shows that the positive charge can be reversible. Figure 11 shows that the positive charge can be permanent. Figure 12 shows a synthetic scheme. 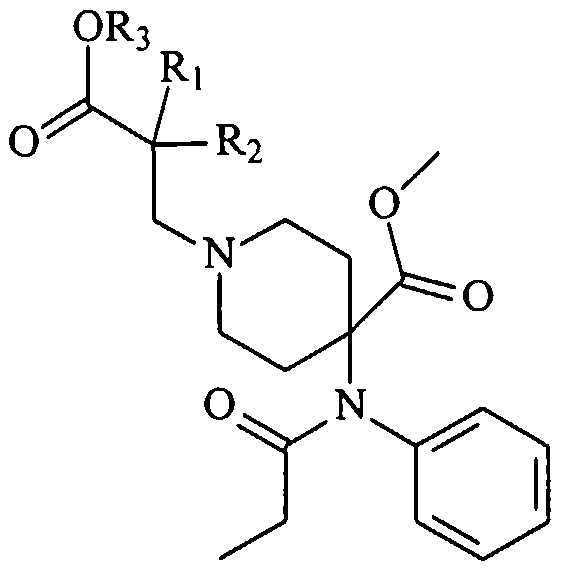 The subject invention provides novel analogs of fentanyl opioids. Preferably, the opioid analog can be deactivated by hydrolytic enzymes to a primary inactive metabolite. 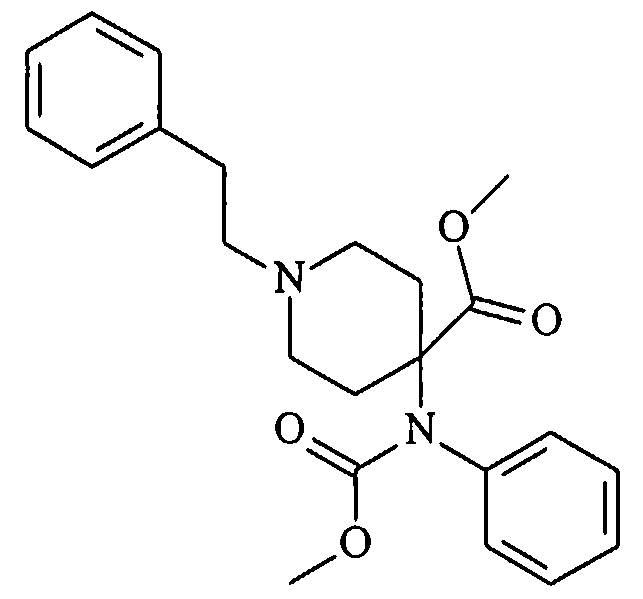 In exemplified embodiments, the piperidine nitrogen or the 4-position of the piperidine ring is modified. Optionally, a positive charge can be introduced on the piperidine nitrogen. Compounds of the present invention can be advantageously used to treat patients suffering from extreme cases of pain that cannot be safely treated using present opioid therapeutics. The subject invention also concerns methods for synthesizing the compounds of the invention. The chemical structure of the piperidine backbone of the molecule lends itself to the introduction of a positive charge. This positive charge can be made permanent or can be made reversible (prodrug approach). A permanent positive charge affords the advantage that the molecule does not have any central effect, therefore avoiding the risks of hypoventilation regardless of metabolic rate. Alternatively, a reversible positive charge allows for transdermal delivery by iontophoresis of a potent soft fentanyl analog with a short duration of action. By appropriately selecting the half- life of the soft fentanyl analog, it is possible to match the delivery rate of the drug with its clearance rate, thereby minimizing and controlling undesired side effects associated with the drug. Fentanyl, alfentanyl, sufentanyl, and remifentanil are opioid analgesics that are marketed in the United States (Figure 1 ). 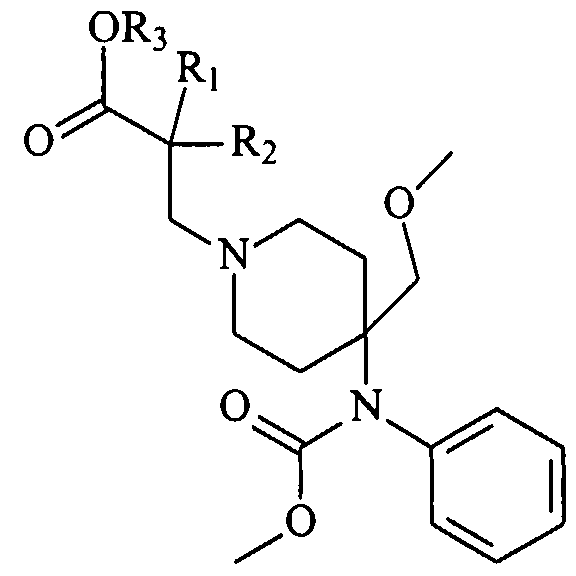 As shown in Figure 2, the opioid molecule has several potential sites (indicated by arrows) where soft chemistry can be applied according to the subject invention to modify the molecule. These sites are either on the piperidine nitrogen, or at the 4-position of the piperidine ring. There are at least six (6) different retrometabolic approaches leading to a soft opioid molecule, i.e., an active molecule having opioid properties and which is deactivated by hydrolytic enzymes to a primary inactive metabolite. These approaches are described in Figures 3-8. A positive charge can be introduced on the piperidine nitrogen (Figure 9). This charge makes possible delivery by iontopheresis. The charge can be reversible (Figure 10) or can be permanent (Figure 11 ). 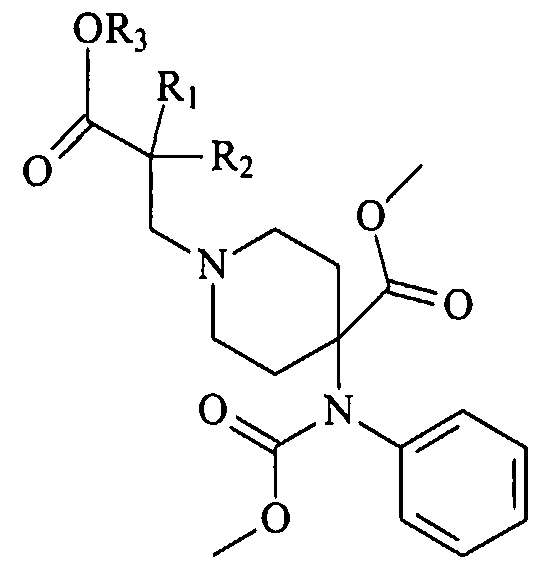 A synthetic scheme for these molecules is described in Figure 12. The groups designated X, Y, and Z in these figures are defined in accordance with the specific compounds exemplified herein. Reference herein to alkyl includes C|.8 straight or branched alkyl groups. Adverse drug-drug interactions (DDI), elevation of liver function test (LFT) values, and QT prolongation leading to torsades de pointes (TDP) are three major reasons why drug candidates fail to obtain FDA approval. All these causes are, to some extent metabolism-based. A drug that has two metabolic pathways, one oxidative and one non- oxidative, built into its structure is highly desirable in the pharmaceutical industry. An alternate, non-oxidative metabolic pathway provides the treated subject with an alternative drug detoxification pathway (an escape route) when one of the oxidative metabolic pathways becomes saturated or non-functional. While a dual metabolic pathway is necessary in order to provide an escape metabolic route, other features are needed to obtain drugs that are safe regarding DDI, TDP, and LFT elevations. In addition to having two metabolic pathways, the drug should have a rapid metabolic clearance (short metabolic half-life) so that blood levels of unbound drug do not rise to dangerous levels in cases of DDI at the protein level. Also, if the metabolic half-life of the drug is too long, then the CYP450 system again becomes the main elimination pathway, thus defeating the original purpose of the design. In order to avoid high peak concentrations and rapidly declining blood levels when administered, such a drug should also be administered using a delivery system that produces constant and controllable blood levels over time. 10. Compounds of the invention, as well as metabolites thereof, do not elevate LFT values when administered alone. In some embodiments, the subject invention provides compounds have any two of the above-identified characteristics or properties. Other embodiments provide for compounds having at least any three of the above-identified properties or characteristics. In another embodiment, the compounds, and compositions thereof, have any combination of at least four of the above-identified characteristics or properties. Another embodiment provides compounds have any combination of five to 10 of the above-identified characteristics or properties. In a preferred embodiment the compounds of the invention have all ten characteristics or properties. 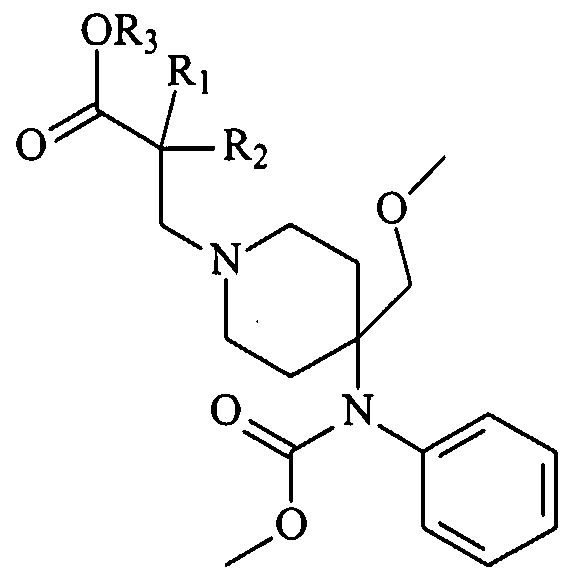 In various embodiments, the primary metabolites of the inventive compounds, regardless of the electrophysiological properties of the parent drug, has, or have, negligible inhibitory activity at the IKR (HERG) channel at normal therapeutic concentrations of the drug in plasma. In other words, the concentration of the metabolite must be at least five times higher than the normal therapeutic concentration of the parent compound before activity at the IKR channel is observed. Preferably, the concentration of the metabolite must be at least ten times higher than the normal therapeutic concentration of the parent compound before activity at the IKR channel is observed. Compounds according to the invention are, primarily, metabolized by endogenous hydrolytic enzymes via hydrolysable bonds engineered into their structures. The primary metabolites resulting from this metabolic pathway are water soluble and do not have, or show a reduced incidence of, DDI when administered with other medications (drugs). Non-limiting examples of hydrolysable bonds that can be incorporated into compounds according to the invention include amide, ester, carbonate, phosphate, sulfate, urea, urethane, glycoside, or other bonds that can be cleaved by hydrolases. 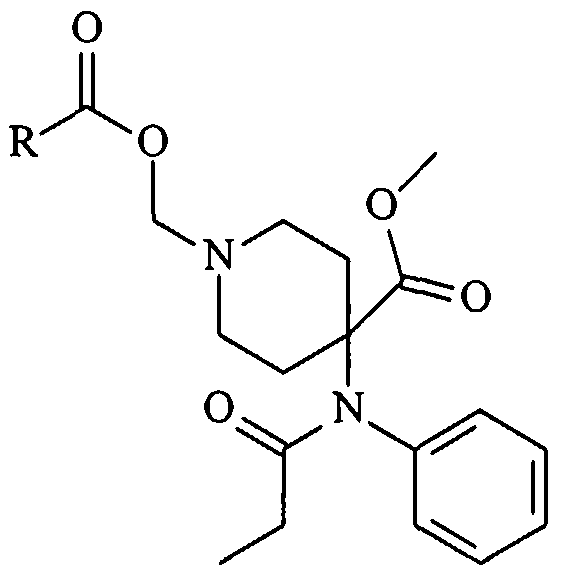 Additional modifications of the compounds disclosed herein can readily be made by those skilled in the art. Thus, analogs and salts of the exemplified compounds are within the scope of the subject invention. With a knowledge of the compounds of the subject invention skilled chemists can use known procedures to synthesize these compounds from available substrates. 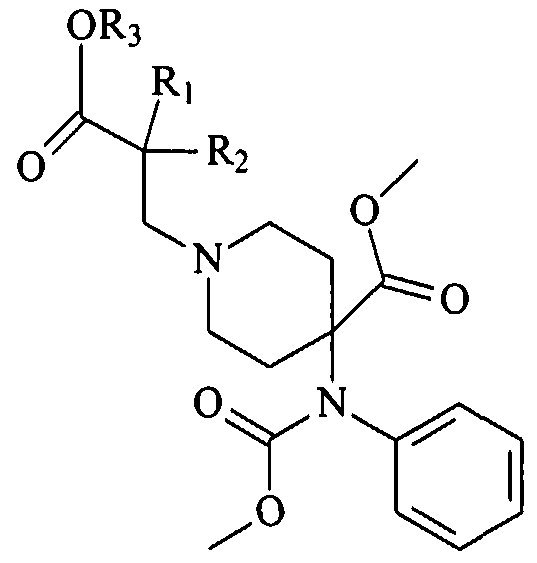 As used in this application, the term "analogs" refers to compounds which are substantially the same as another compound but which may have been modified by, for example, adding additional side groups. 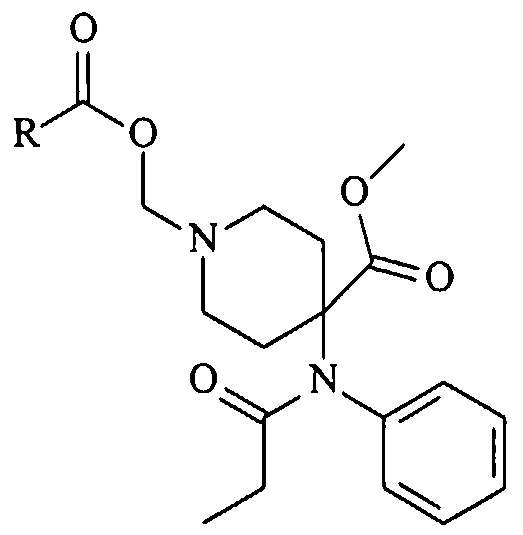 The term "analogs" as used in this application also may refer to compounds which are substantially the same as another compound but which have atomic or molecular substitutions at certain locations in the compound. The invention also concerns methods for treating pain in a patient by administering a compound of the invention to a person in need of such treatment. Preferably, the compound is administered by transdermal delivery means. A fentanyl analog of the present invention having a short half-life in blood can be delivered by a transdermal system in which the delivery rate closely matches clearance of the drug from the bloodstream. Medical Economics Company, Montvale, NJ, 2000). The compounds of the subject invention can be formulated according to known methods for preparing pharmaceutically useful compositions. Formulations are described in detail in a number of sources which are well known and readily available to those skilled in the art. For example, Remington's Pharmaceutical Science by E.W. Martin describes formulations which can be used in connection with the subject invention. In general, the compositions of the subject invention are formulated such that an effective amount of the bioactive compound(s) is combined with a suitable carrier in order to facilitate effective administration of the composition. In accordance with the subject invention, pharmaceutical compositions are provided which comprise, as an active ingredient, an effective amount of one or more of the compounds and one or more non-toxic, pharmaceutically acceptable carriers or diluents. Examples of such carriers for use in the invention include ethanol, dimethyl sulfoxide, glycerol, silica, alumina, starch, and equivalent carriers and diluents. Further, acceptable carriers can be either solid or liquid. Solid form preparations include powders, tablets, pills, capsules, cachets, suppositories and dispersible granules. A solid carrier can be one or more substances which may act as diluents, flavoring agents, solubilizers, lubricants, suspending agents, binders, preservatives, tablet disintegrating agents or encapsulating materials. The disclosed pharmaceutical compositions may be subdivided into unit doses containing appropriate quantities of the active component. The unit dosage form can be a packaged preparation, such as packeted tablets, capsules, and powders in paper or plastic containers or in vials or ampoules. Also, the unit dosage can be a liquid based preparation or formulated to be incoφorated into solid food products, chewing gum, or lozenge. The compounds of the subject invention can be used to treat humans and other animals. All patents, patent applications, provisional applications, and publications referred to or cited herein are incoφorated by reference in their entirety to the extent they are not inconsistent with the explicit teachings of this specification. It should be understood that the examples and embodiments described herein are for illustrative puφoses only and that various modifications or changes in light thereof will be suggested to persons skilled in the art and are to be included within the spirit and purview of this application. 1. An opioid compound having at least one characteristic selected from the group consisting of a. the compound is metabolized both by CYP450 and by a non-oxidative metabolic enzyme or system of enzymes; b. the compound has a short (up to four (4) hours) non-oxidative metabolic half-life; c. the compound contains a hydrolysable bond that can be cleaved non- oxidatively by hydrolytic enzymes; d. the primary metabolites of the compound result from the non-oxidative metabolism of the compound; e. the primary metabolites are soluble in water at physiological pH; f. the primary metabolites have negligible inhibitory activity at the IKR (HERG) channel at normal therapeutic concentration of the parent drug in plasma; g. the compound, as well as the metabolites thereof, does not cause metabolic DDI when co-administered with other drugs; and h. the compound, as well as metabolites thereof, does not elevate LFT values when administered alone. wherein, R| and R2 are, independently, H or CH3 and R3 is alkyl. wherein, R = alkyl; aryl; methoxy; alkyloxy; or aryloxy. wherein, Ri and R2 are, independently, H or CH3 and R3 is alkyl. 8. 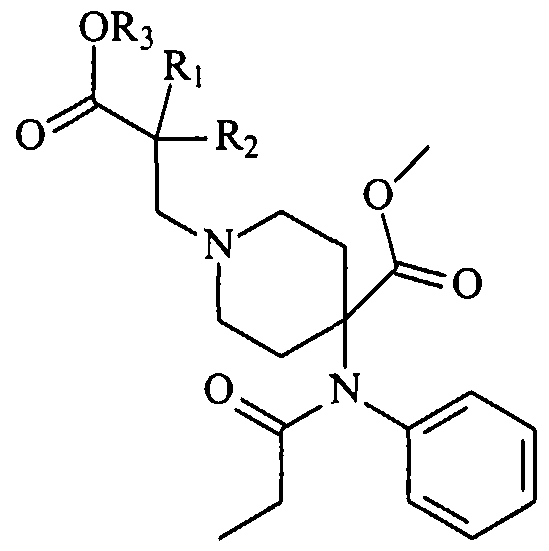 A pharmaceutical composition comprising an opioid compound having at least one characteristic selected from the group consisting of a. the compound is metabolized both by CYP450 and by a non-oxidative metabolic enzyme or system of enzymes; b. the compound has a short (up to four (4) hours) non-oxidative metabolic half-life; c. the compound contains a hydrolysable bond that can be cleaved non-oxidatively by hydrolytic enzymes; d. the primary metabolites of the compound result from the non- oxidative metabolism of the compound; e. the primary metabolites are soluble in water at physiological pH; f. the primary metabolites have negligible inhibitory activity at the IKR (HERG) channel at normal therapeutic concentration of the parent drug in plasma; g. the compound, as well as the metabolites thereof, does not cause metabolic DDI when co-administered with other drugs; and h. the compound, as well as metabolites thereof, does not elevate LFT values when administered alone; wherein said composition further comprises a pharmaceutical carrier. wherein, Rι and R2 are, independently, H or CH3 and R3 is alkyl. wherein, R( and R2 are, independently, H or CH3 and R3 is alkyl. 15. 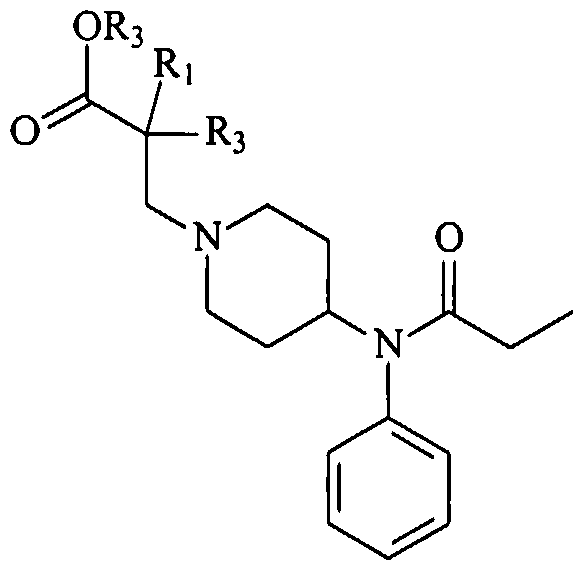 A method for treating pain wherein said method comprises administering to a patient in need of such treatment an opioid compound having at least one characteristic selected from the group consisting of: a. the compound is metabolized both by CYP450 and by a non-oxidative metabolic enzyme or system of enzymes; b. the compound has a short (up to four (4) hours) non-oxidative metabolic half-life; c. the compound contains a hydrolysable bond that can be cleaved non- oxidatively by hydrolytic enzymes; d. the primary metabolites of the compound result from the non-oxidative metabolism of the compound; e. the primary metabolites are soluble in water at physiological pH; f. the primary metabolites have negligible inhibitory activity at the IKR (HERG) channel at normal therapeutic concentration of the parent drug in plasma; g. the compound, as well as the metabolites thereof, does not cause metabolic DDI when co-administered with other drugs; and h. the compound, as well as metabolites thereof, does not elevate LFT values when administered alone. 22. The method, according to claim 15, wherein said patient is a human. 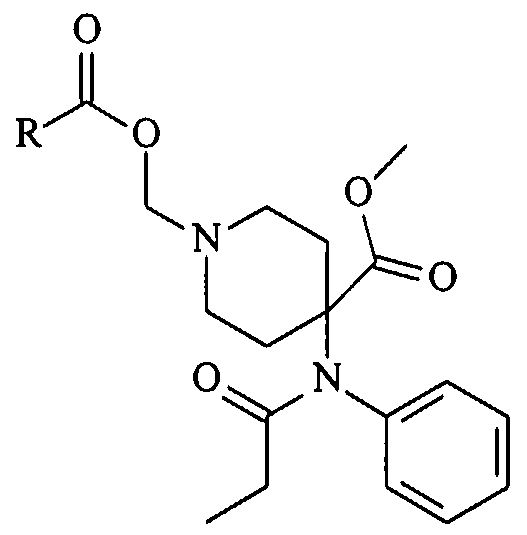 ES2257757T3 (en) 2006-08-01 Terfenadine carboxylate and treatment of allergic disorders. 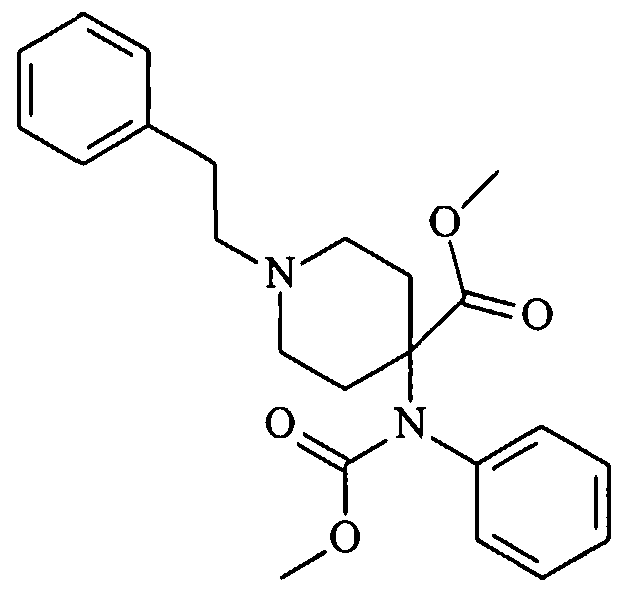 ES2300436T3 (en) 2008-06-16 Linker kappa opioid receptor.